Thanks to the partnership with the Kingston University of London, GEMA Business School has launched the Strategic Talent Development programme, an intensive week of learning and discussion to rethink strategic development of talents and leadership in the era of Digital Transformation. 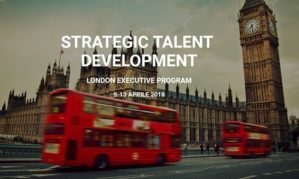 GEMA Business School and the University of Kingston are working together to offer the Italian HR professionals a study experience that will revolutionise their way of thinking the Strategic Talent Development. GEMA Business School is a Registered Education Provider (R.E.P.) of the Project Management Institute (PMI). The knowledge provided by our training programmes is aligned witgh the PMBOK Standards Guide (Guide to the Project Management Body of Knowledge). Trainers have many years’ experience and PMP Certification.